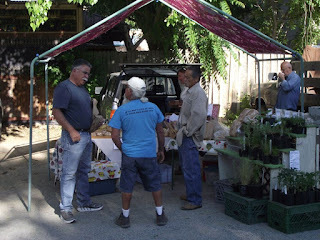 First Farmers' Market AND Give Grandly - May 11th, 2019 - Give Grandly encourages everyone to become a philanthropist and raises money locally for non-profit organizations. The Silver City Farmers' Market will be hosting this event at the first Downtown market of the season. July 2019 - WIC vouchers distributed. Mud Pie Contest - contestants created edible pies that resemble mud.